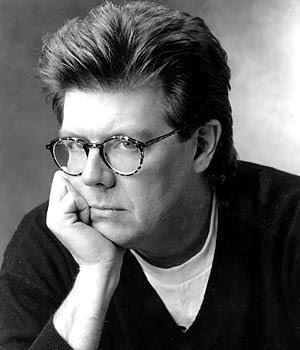 The sudden loss of John Hughes—he was 59, for God’s sake, and he had a HEART ATTACK!!! while walking around New York City— somehow doesn’t make sense. Budd Schulberg, who died a day earlier, was in his 90s and died of natural causes. But Hughes, he was like a kid. He was, in a sense, the best big brother the Gen-Xers ever had. He got it. And he got it through their often hyperventilating filter, not his or that of his peers. He chronicled the troubles and triumphs of middle-class suburbia with an expert psychological acuity. And he knew when to be funny and when to take stuff (Senior Prom, say) seriously. And he wasn’t afraid to think like a girl. In this post-American Pie era, it’s amazing to think back and realize he created as many memorable females as males. Molly Ringwald, the teen queen of Sixteen Candles, Pretty in Pink and The Breakfast Club comes immediately to mind. So does Ally Sheedy, another detention-hall detainee in The Breakfast Club. And the touching tom-boy Mary Stuart Masterson in Some Kind of Wonderful, as well Lea Thompson, who played a Dream Girl with a heart and a personality in the same film (compare her to the title character in the recent I Love You Beth Cooper and you may feel nauseated). He didn’t do badly by the guys, either. Matthew Broderick in Ferris Bueller’s Day Off remains an icon of teen anarchy for the ages. Emilio Estevez showed us jocks could be good guys too, in The Breakfast Club. Jon Cryer did the same for geeks in Pretty in Pink. The end of the ‘80s was pretty much the end of Hughes and I’m not sure why. The last movie he wrote and directed was the infinitely deplorable Curly Sue (to this day, “She’s Adorable!” remains a code word with certain friends). He continued to write, but, aside from the first Home Alone, which probably owes its reputation to Macaulay Culkin’s Edvard Munch scream more than anything else, he seemed to have dropped into 4th gear. He wrote more Home Alone movies. And the Beethoven series, under the pseudonym Edmond Dantes, which he borrowed from The Count of Monte Cristo. And live-action adaptations of Disney animated features that should’ve been left alone. I don’t even want to talk about She’s Having a Baby or Baby’s Day Out. Matthew Broderick’s party in the street in Ferris Bueller. The friendship between the uncool Mary Stuart Masterson and the very cool Eric Stoltz in Some Kind of Wonderful. The scenes between Molly Ringwald and her struggling, probably alcoholic and unemployed dad, Harry Dean Stanton, in Pretty in Pink. John Candy and Steve Martin, just trying to get home for Thanksgiving in Planes, Trains and Automobiles. And my absolute favorite, from The Breakfast Club: Ally Sheedy, head down and hunched over in the back of detention hell, draws a house and then, to add snow, shakes the dandruff out of her hair onto the paper. Eleanor Ringel-Cater is an award-winning journalist who previously was the lead film critic for the Atlanta Journal Constitution. She currently reviews for The Daily Report and comments on films on WMLB AM 1690. She is a member of the National Society of Film Critics and FIPRESCI. She will be a regular contributor to the High’s film blog. I am a child of the 1950s, so by the time I was reviewing films in the 1980s, I was too old for John Hughes’s tales of high-school humiliation, stronger-than-SuperGlue friendships, and first kisses to serve as my generational touchstones. But for millions of Gen Yers, the bright, funny, and appropriately tormented kids who populated his films were irreplaceable alter-egos, and were as much a fabric of their youth as mom’s cooking or Saturday morning cartoons. With the director’s untimely death on my mind, I invite readers to join High Museum of Art staff members in sharing their memories of John Hughes’s films. From piece the New York Times Art Beat. An appreciation from Paste Magazine. I was really little when Pretty in Pink came out, but it pretty much defined my childhood. Andie & Iona’s style & attitude taught me how to be comfortable “being myself,” and Duckie’s performance of “Try a Little Tenderness” was a classic that I still mimic when I listen to Otis Redding in the car! Even though the movies took place in that distant Shermer, Illinois, the family units, friend groups, conversations and consequences were both painfully and joyfully familiar to each viewer. Every teenager wants to wallow in her feelings, convinced that no one can understand what she’s going through. Through the truth of humor, John Hughes made millions of teenagers realize that someone did understand, that it happened all the time, and that one day things would get better. Somehow, those movies had the power that our parents, teachers and friends lacked. It’s really all we wanted to know. I both lived and suffered a vicarious day off through Ferris at 14. I mean who would want to go to school when dreams of driving around downtown Chicago in a Ferrari GT and having a parade and fun and food and not have to worry about anything were almost never within reach? Was it seeing Jake Ryan kiss Samantha Walsh that perpetuated my excitement to turn sixteen? Perhaps it was when I spoke up in my 9th grade class and was sent to detention that made me secretly feel rebellious? Maybe it was the time I ditched class and went to Six Flags instead that made me an accomplished senior. No, I actually think it was the day I realized that being a nerd was cool, being a tomboy could still get me a date, and wearing pink didn’t make me any less of a tomboy. To hope my life has somehow mimicked the pop culture carousel that is John Hughes is to declare to the world that I have grown up, gone through, and now gratefully made it though my teen years. He was the master of creating adolescent images in film that stay with you long after your first kiss, your first car, and your first slow dance. As my 10-year high school reunion approaches this October, I tip my hat to John Hughes, the father figure of making it more than okay to grow up. And to laugh.